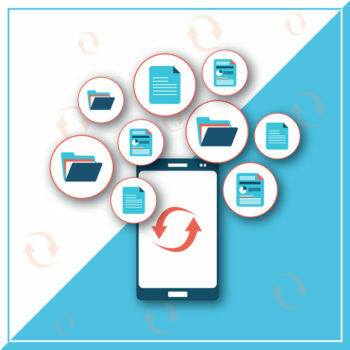 Too many businesses spent the last decade trying to go “paperless,” only to realize that finding, organizing, managing, and capturing documents electronically is just as complicated. Whether it’s an important email, a picture of a receipt taken with a cell phone, last month’s sales numbers spreadsheet, or even a quick note taken in a text file, capturing and keeping these important business documents is a constant challenge. For all too many users, the solution is a personal one, invented out of desperation. Some people email themselves copies of important documents and files. They hope that their trusty email will both keep their important documents safe from hard drive crashes and accidental deletes. When they need to find something, they hope the trusty email search function will enable them to find those documents. Other workers upload files to a network drive with long, complicated file names like ArcticLlama-Presentation 10-13-18 Pricing and Descriptions.txt. These names create a sort of cobbled together metadata, but only if you remember how you named the files. Unfortunately, these, and many other, build-your-own systems of file storage, categorization, and retrieval are disasters waiting to happen. When that worker with the elaborate file names leaves the company, his records go too when his personal drive gets deleted. Even if you have backups, unless you know the file naming scheme, finding things is tricky at best. And that doesn’t even include being able to share important files, manage their security, or audit access. Worst of all, if two employees have saved (and updated) to different versions, then how would anyone put all of the data together? This is where Enterprise Content Management (ECM) comes in. 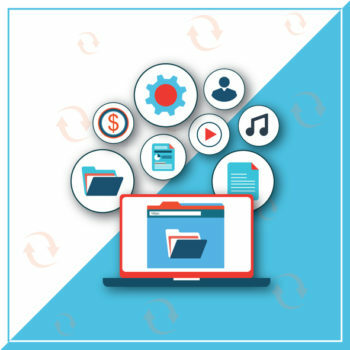 Instead of everyone creating their own way to save, secure, and retrieve important documents and files, a single ECM system ensures that everything is stored and retrievable from anywhere, by anyone with the proper access, all with a catalog of metadata that makes finding thing simple. Microsoft SharePoint has become a top choice as an Enterprise Content Management (ECM) system. In this article, we will take a deeper look at why businesses choose SharePoint for their ECM. For many businesses, SharePoint has always just sort of been there. It was a throw-in they got when they bought Office, or Servers, or maybe it just came with their enterprise license. Either way, for many companies, SharePoint is already ready to go, free of charge. 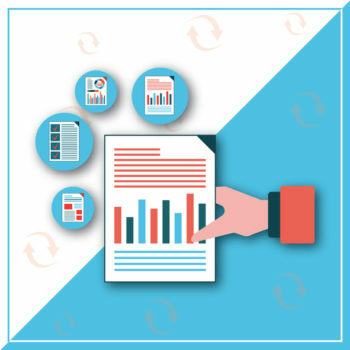 For those not lucky enough to already have SharePoint within their organization, SharePoint licensing comes at a much lower price point than other ECM options. If that isn’t good enough for the folks in accounting, then consider this: there are huge savings that come with built-in integration with the Office suite of products, as well as a familiar interface that most company employees are already used to. That means no more applications to purchase, and no expensive training programs to get people up to speed. Sharing documents, auto-saving them, and having collaborative changes appear in real-time on everyone’s screen is a huge boost to productivity and teamwork. However, sometimes, you need a final document. In many legal, financial, and medical situations, a final, uneditable version of a document is required. Unfortunately, in too many environments, that means storing a hardcopy – in a box, in a vault, or somewhere similar. This defeats the entire purpose of a great content management system (and along the way, creating yet ANOTHER catalog to find those final versions.) Thanks to SharePoint’s Records Management features, final documents can be stored in place where they are easy to find. Audit trails and locked documents ensure that any final records are really final. With many other ECM platforms, your security really belongs to the operating system. That is mostly true for SharePoint, as well; however, thanks to full integration with Microsoft Active Directory, businesses can control who has access to files, who can modify them, and who can share them with others. These permissions are scalable across groups and customizable down to a granular level. All along, any access actions are auditable. And, in a time when it seems no system can be fully secure, you can configure SharePoint to encrypt your files, both in transit and at rest. If hackers get in, they won’t be using your ECM to find your financial records. A SharePoint Enterprise Content Management system isn’t just another layer over the top of your existing files. Instead, SharePoint is fully integrated with most any file or document. Did you use the SharePoint ECM to find a meeting record, only to realize it’s a video file? No problem! SharePoint can play it, inside of SharePoint. Do you need to update the date and author on that Word document? Go ahead and do it inside of SharePoint. When you do, SharePoint won’t just change its own metadata, it will change the native Word file metadata as well. 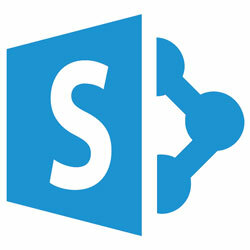 This integration makes SharePoint a great web content manager as well. Use templates (easily found on a team page) to upload those meeting notes and ensure that they not only get quickly published to the company website – without any help from IT – but that they look just like all the other pages. If Brad takes 300 pictures at an important company event and uploads them all with nothing but file names like 2019-03-26-01385, how will you find the pictures you need? What if there was more than one event that day, and there’s another 300 pictures with similar names? Who took which pictures? Where were they taken? Whether it’s video, audio, or photos, if there is metadata, SharePoint will index it. If Brad uploaded his pictures, then his name is attached to those photos, whether his camera put it in the EXIF or not. If you got really lucky and Brad used his mobile phone or other camera with GPS, then SharePoint can find that location. Then, to zero in on what you really need, SharePoint will automatically generate thumbnails that you can quickly sort through them, all without leaving SharePoint. There are tons of requirements, contractual obligations, and regulatory and legal standards out there. While SharePoint handles a lot of them, no Enterprise Content Management system can cover every possible business case. Fortunately, there are a lot of third-party companies out there who develop solutions just for these specialized needs. Thanks to Microsoft’s size, developer tools, and outreach, chances are if there is a special vendor you need, one of the platforms they will support is SharePoint ECM. Ready to Get Started with SharePoint as your ECM? There are plenty of ECM solutions out there, but with SharePoint already running in your enterprise, it makes sense to look there first. With its robust capabilities and features, you won’t need to look anywhere else. When it comes to planning, architecting, and deploying your SharePoint ECM solution, you never want to do it alone. Having a certified SharePoint partner by your side who has “been there, done that” many times before can help ensure a smooth and successful implementation while also maximizing the benefits you can get from your SharePoint ECM. This is where the Imaginet certified SharePoint experts come in. We have helped over 500 customers around the globe with all of their SharePoint needs since the first version of SharePoint was released. And we’re ready to help you, too. Contact us today at info@imaginet.com or 1-800-989-7622 to schedule a free consultation call to get started on your path towards your ideal enterprise content management solution with Microsoft SharePoint. Brian Nelson is a technology writer and a former Microsoft Certified Systems Engineer (MCSE). He was certified on various Microsoft technologies, and he worked as a high-end computer systems consultant and contractor with several businesses, ranging from Fortune 500 Companies to small local businesses. These days, Brian writes about technology, finance, and business, while building websites and trying to code video games on the side. He lives in Denver, Colorado with his family.